Lifehouse provides support services to over 300 individuals in Marin, Sonoma, and San Francisco counties. Our goal is to help each person become as independent as possible and a welcome, productive member of our community. Lifehouse offers a comprehensive skills training model focused on each individual’s needs. We support many individuals with varying disabilities, and the needs of the people we support vary; this can range from two hours per week to 24-hour care. At Lifehouse, each individual participates in developing individual goals and is supported by a team of professionals. Details: Lifehouse’s two training homes provide an educational environment for adults, 18 years old and above, to develop the necessary skills required for increased independence living within a community. Each house accommodates six individuals and is licensed by the Department of Social Services Community Care Division. Between 9:00am and 3:00pm, residents go out to day programs. Staff are present at all times when residents are home. Each individual works with his or her team to develop an comprehensive program plan for fulfilling goals towards greater independence. This team consists of the individual, a staff member, the regional center social worker, the individuals personal support, and a day program representative. Training is provided in appropriate locations and focuses on areas like mobility, food preparation, budgeting and banking, daily living skills, medical needs, housekeeping, and socialization. Details: In 2011, Lifehouse launched a home for four young men with autism or autism like needs. The program has since grown to support over 50 individuals with autism within a variety of settings. This includes another home for women with autism and supported living services at the Sweetwater property in Sonoma. A team of staff, including an autism specialist, collaborate on strategies and create visual structures to assist individuals in navigating the environment and accomplishing his or her personal goals. Lifehouse also serves as the fiscal sponsor of the Marin Autism Collaborative (MAC), which stemmed from a county wide effort to identify the current services in autism spectrum disorders (ASD) in Marin County and the current gaps in services to families, professionals, and consumers with ASD. MAC meets monthly and has established an organizational structure that hopes to ensure an ongoing process of recognizing the gaps in services and finding solutions. Details: Residents living in Intermediate Care Faciliites receive 24-hour care from trained staff with a ratio of two or three residents to one staff member with one overnight staff member who performs regular checks. These homes are funded by Medi-Cal. Each resident is supported by a team of professionals, including a registered nurse, physician, behavioral specialist, dietician, and regional center social worker. The team designs an Individual Service Plan (ISP) for each person based on his or her specific needs. This tailored plan consists of goals and objectives to teach each person important skills in hygiene, habit training, safety, community awareness, communication, social skills, and other areas of focus. Residents attend day programs during the day. Lifehouse also provides many opportunities for residents to be active in the community with assistance in the leisure activities of their choice. Great Expectations Inclusive Preschool will be a place for children of all abilities to learn and thrive. This inclusive preschool is designed to serve children with a wide range of abilities, as well as meet the needs of typically developing preschool students. 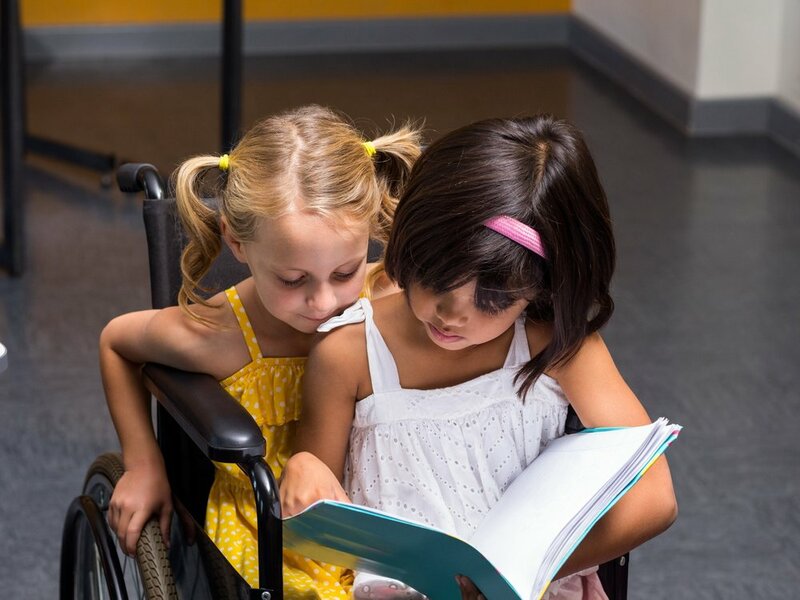 Research has shown that children with disabilities show greater academic and social growth when they are in a welcoming and inclusive environment. Great Expectations is NOW OPEN and is located at the Marindale School in San Rafael, CA. For more information or to inquire about enrollment, please email greatexpectations@lifehouseagency.org or call 415.526.5300. Please visit greatexpectationsmarin.org for more information. With the assistance from Peninsula Outreach Programs (POPS), we are taking the Lifehouse Technology Center to the next level. More than 20 years ago, Lifehouse pioneered the development of affordable housing for developmentally disabled adults in Marin with a 12-unit apartment complex. We remain committed to identifying new affordable housing opportunities for the developmentally disabled in Marin, Sonoma and San Francisco Counties. Lifehouse continues to advocate for more affordable housing as high costs are a key barrier to helping adults with developmental disabilities live independently. Lifehouse staff continue to work with West Bay Housing Corporation and the Marin Continuum of Housing and Services to address this need. Throughout its history, Lifehouse has maintained a strong commitment to advocating for people with developmental disabilities. Staff regularly attend local community meetings where there is an opportunity to advocate to ensure that the needs of our clients are met. Administrative and management staff have often visited with legislators and attended legislative hearings to help decision makers better understand the needs of those with developmental disabilities. Lifehouse is recognized as one of the leading service providers in speaking out for those we serve. Lifehouse offers skills assessments to determine the needs of an individual looking to receive services. A counselor meets with the individual, either in his or her home or in the community, on several occasions to assess the area of need. This can be helpful in assembling a specific plan or developing new services for the individual. For those in Supported Living Programs, Lifehouse uses information from these assessments to customize services in conjunction with the regional center. Lifehouse is committed to informing parents, families, and community members about all the options and types of services available to individuals with developmental disabilities. We have professional staff available to visit schools and service organizations to provide detailed information to suit your needs. We can also help assess your needs and refer you to appropriate agencies for more information and services. Lifehouse is committed to helping the people we support access recreational and leisure activities in the community. The Marin Coalition was developed in 1993 with the help of other agencies in the area. This partnership developed athletic opportunities and a teen recreation program. They also work closely with local Parks and Recreation Departments to promote social activities. Lifehouse has also collaborated with a local Lions Club to start a chapter that is geared toward those with developmental disabilities. Through Lifehouse’s Travel Program, individuals have the chance to travel to exciting destinations, amusement parks, national and state parks, and other popular tourist destinations. The people we support participate actively in the community by volunteering with local organizations, participating in Special Olympics, and enjoying other activities. Lifehouse provides individualized day support services that are specifically designed for an individual with his or her personal goals in mind. This program is ideal for individuals who cannot attend day programs in the community. Some individuals choose this type of support because of serious medical issues, behavior or psychological temperament, or an individual’s choice to forgo a structured program. Program designs vary and services may include but are not limited to vocational exploration, travel training, social skills building, leisure skills enhancement, and interest identification. This service is traditionally offered every weekday for six hours. Depending on the need, the number of hours and frequency of meetings may vary. TRIP provides weekly, community based activities to teens and young adults with developmental disabilities within the ages of 13 and 22. It allows them to have some autonomy from their families, which is a normal part of adolescent development when a young person’s friends start to replace their family as their primary source of socialization. For more information or to inquire about activities with TRIP and RecLife, please contact Mike Sus at msus@lifehouseagency.org.